As unlikely as it may seem, it is a Dreamworks animation that we had most looked forward to this summer. Timed to coincide with the studio's 20th anniversary, the sequel to 2010's 'How to Train Your Dragon' could not come at a more opportune time for the studio - entertaining as they were, its more recent original works such as 'Rise of the Guardians', 'Turbo' and 'Mr Peabody and Sherman' have all underperformed at the box office, and it could certainly do with a hit to boost flagging investor confidence. But never mind that, the reason why we so eagerly anticipated this follow-up is simply because of how unexpectedly fascinating its predecessor turned out to be. 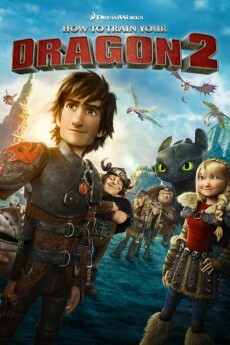 Yes, the story of a Viking teenager Hiccup who befriends the titular creature Toothless and manages to convince his village that they are friend not foe was not only a rare unadulterated crowd-pleaser, it also packed some genuine emotional heft with its bittersweet ending. Like how Toothless tends to do in the film, the big-screen adaptation of Cressida Cowell's young-adult book series came out of nowhere and charmed the socks off both adults and children alike, becoming one of the biggest hits in the studio's history. And so co-writer and co-director Dean DeBlois has returned to pen and helm this sequel set five years after the events of the first movie - though this time, he is going at it without his partner Chris Sanders. Proving that two heads need not always be better than one, DeBlois' solo venture is no less compelling than the first film, and indeed sees the filmmaker demonstrate an imagination and derring-do which truly makes it soar. 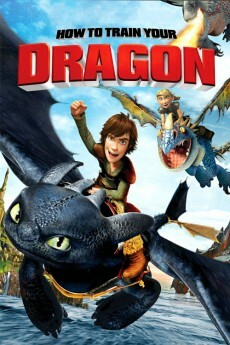 In a most literal way, that is exactly what the opening sequence delivers, which sees Hiccup's rowdy schoolmates - Snotlout (Jonah Hill), Fishlegs (Christopher Mintz-Plasse), Tuffnutt (T.J. Miller) and twin sister Ruffnut (Kristen Wiig) - participate in a dragon-racing derby which resembles Quidditch but with dragons for broomsticks and lambs for Snitches. It's an eye-popping and heart-pumping prologue, followed almost immediately by another which reunites us with Hiccup and Toothless, whose flighty adventures have turned into discovering new lands. It is on one of those explorations that both stumble onto a fortress made from shards of ice created by none other than a dragon - not just any other dragon though, but a Bewilderbeast, regarded as the most venerable of the species who can easily command the authority of his kind. Within that fortress too is a mysterious woman named Valka (Cate Blanchett), who has dedicated the last 20 years of her life freeing captured dragons and looking after them in the sanctuary under the care and protection of a Bewilderbeast - and in case you've missed the trailers, this woman also happens to be Hiccup's long-lost and presumed- dead mother. Instead of his stoic father Stoick (Gerard Butler), the emotional arc here is between Hiccup and his mother, as well as to a surprisingly poignant degree, between Hiccup's father and mother. DeBlois reserves the tender quiet moments of his film for the reunion between mother and child as well as husband and wife - in particular, a dance between Butler and Blanchett around a fire to their wedding song is bound to leave you misty-eyed - and makes sure that his film loses none of the heart and humanity that made the earlier 2010 one deeply affecting. The villain that Hiccup finds himself up against is a tyrant named Drago (Djimon Hounsou), who believes that dragons are meant to be enslaved and used against the opponents whom he oppresses. We leave you to make the judgment whether Hiccup is being naïve or determined, but suffice to say that he believes in his heart that he would be able to convince Drago - as he did with the rest of his village - that dragons could very well be man's best friends if we allow them to. DeBlois plays Hiccup's naivety beautifully, culminating in some difficult consequences that reflect a temerity for the sort of heavy dramatic choices which would ultimately seal Hiccup's character transformation and ensure it be a genuinely satisfying one for his audience. Take this as a warning if you're a parent of a younger tot - it does get pretty emotionally upsetting towards the end, but the payoff is also undeniably rewarding. 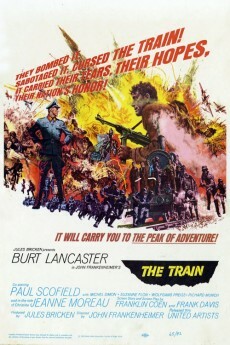 The same can be said of each one of the cast and characters, particularly for those who recall the earlier film. Without ever saying a single word, Toothless still manages to be ceaselessly endearing, embodying not only feline affection and playfulness this time round, but a canine sense of loyalty to Hiccup. Each of the other dragons, however brief their appearance, are also designed with attention to personality. It is just as delightful to be reunited with the human characters. Jay Baruchel captures nicely the transition of Hiccup from teen to adulthood, and is just as appealing with America Ferrera as his girlfriend Astrid. Butler brings tough and tender to Stoick and shares some lovely chemistry with Blanchett in their emotive scenes together. And if there were any doubt that the action were spectacular, well then let us put them to rest. In two words, the film is visually dazzling, and we're not talking about the cornucopia of creatures and backdrops. DeBlois once again concocts some terrifyingly exhilarating sequences here, which make ample use of 3D for maximum elation. It is a thrill- ride all right, but more than just theme part excitement, this sequel packs an emotional wallop that is both moving and uplifting at the same time. If you loved the first film, you'll be sure that this second entry into what is now planned as a trilogy more than brings this animated franchise to new and exciting heights. Rarely a sequel is better than the first one, but here it is. The graphics are stunning, but more importantly the story deals with difficult questions. While the first movie was about trust and friendship, How to train your dragon 2 is about dealing with the death of relatives, becoming mature and being able to take responsibilities. It's a big step for a teenager becoming mature and this movie deals with it brilliantly. Yes it's an animated movie, but adults will like it as much as children. One to watch for the whole family. 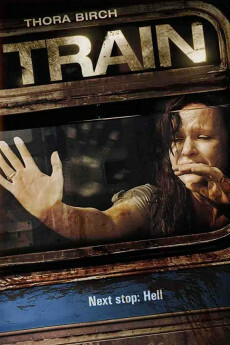 An epic movie.